If first impressions are as important as they are rumored to be, then it goes without saying that your business’ reputation relies on how your customers view your facility. From the parking lots to the bathrooms, the appearance and attraction of your business is directly tied to how customers feel about you. To many, a clean appearance means professionalism, respect and trustworthiness. 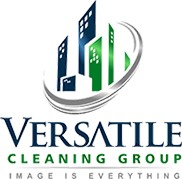 Understanding the need for a pristine, clean business atmosphere, our team of commercial cleaning experts always strive for unparalleled levels of service that are designed to your specific needs. By drafting a maintenance plan that is specific to your facility, we eliminate the addition of services that you just don’t need and target those that are integral to the running of your organization. Our consultants work as your partners, to ensure that a sensible routine maintenance plan is developed with your budget, building size, number of employees and traffic as mitigating circumstances. Beyond our focus on personalization, our efforts in cleaning are unmatched, ensuring that the aspects of your office spaces, or building facility, always meet your highest expectations. From the very first step inside your lobby to the last step out, your customers should be impressed by the level of commitment you show to your business. Give no one a reason to believe that their personal visit is not appreciated. A sanitary, pristine appearance is simply a show of respect to your clients. Prove that respect. As Marion County’s premier commercial cleaning company, we work diligently every day to ensure that your facility represents your business in the most attractive light possible. Schedule a comprehensive appointment with one of our commercial consultation representatives today. We’ll help develop a cleaning and maintenance plan that suits you and your business beautifully.